Welcome to Franklin Bell - your electrician for Willetton, Parkwood, Lynwood, Riverton and Shelley. If you need electrical installing or maintenance work done, you can count on us to be on time, efficient, professional and friendly. We're fully insured, licensed and qualified electrical contractors. All our work is guaranteed for workmanship and product quality. Our service is efficient, prompt and punctual - we don't waste your time. We take pride in being friendly, pleasant and easy to work with. Maintenance and Repairs to all wiring and electrical components. GPO's - Installation, replacement, repair and moving of power points. Slow ADSL or Internet Dropping In and Out? - We can troubleshoot and find the cause. 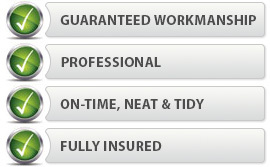 If you'd like to get a free quote or you want to make a booking, please Complete our Booking Form. We'll be in touch shortly after to discuss the scope of your work and to see how we can help.